Peanut Leaf Scorch is showing up, but is nothing to be concerned about. 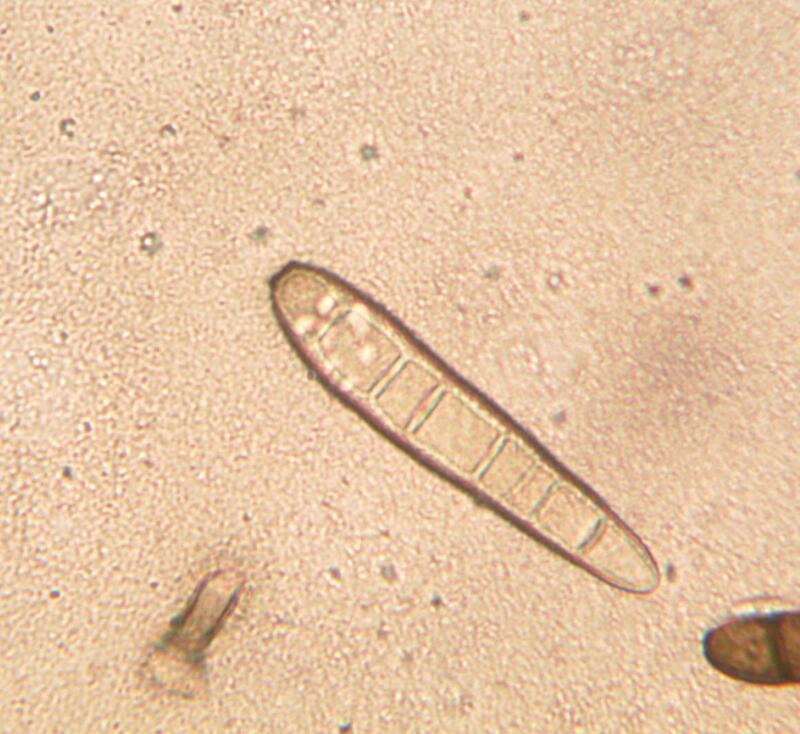 Leptosphaerulina crassiaca is the causal organism of Peanut Leaf Scorch. We’re seeing some of this now. This was in a field of Tiftguard variety peanuts that were brought in to me today. Dr Bob Kemerait, UGA Extension Plant Pathologist, says it causes some leaf symptoms but does not cause yield loss in peanut. Our normal fungicides used in peanut probably help with this as well. 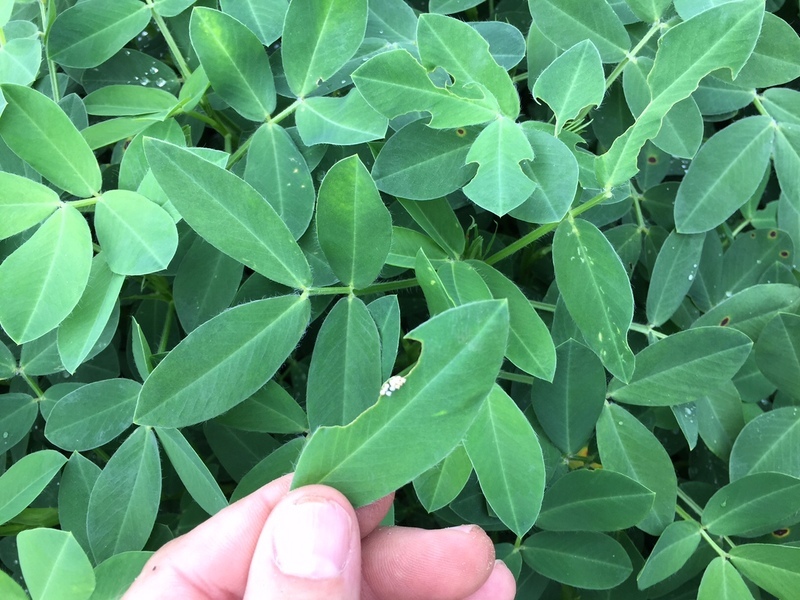 Terrell County Agent Nick McGhee has an excellent soybean foliage feeder article at this link—Foliage Feeders beginning to show up in Soybeans. This week I have yet another entomology question. We live in a very “buggy” area of the world. We can almost always find something in the insect world that is interesting but often harmful. 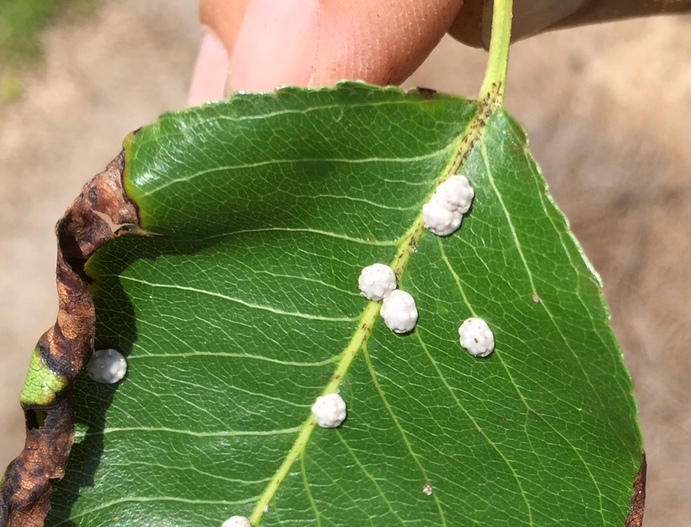 What is this I found on these pear leaves? We’re seeing a little Target spot, aka Corynespora in cotton. 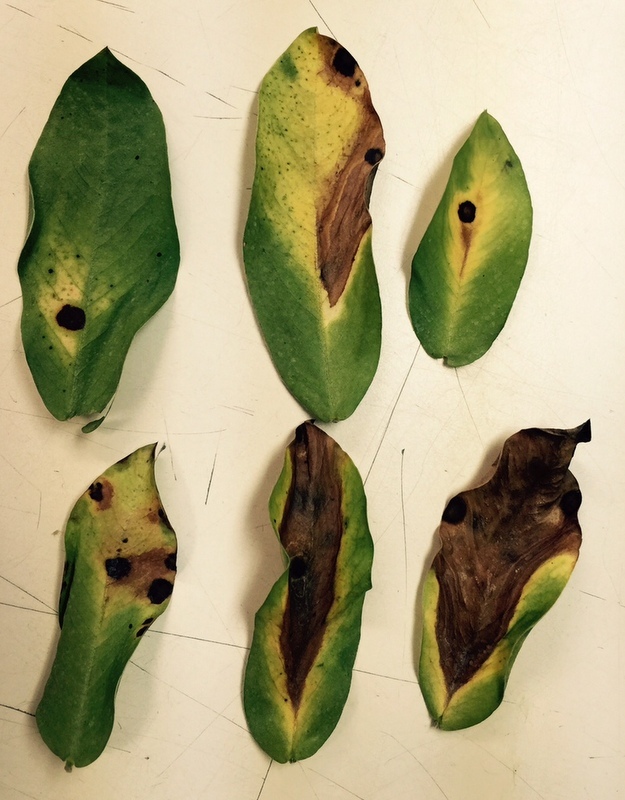 This is the leafspot that we sometimes spray for, it’s about the only one that responds to fungicide sprays. I saw it in a lush field that is waist deep with thick foliage and well watered. In talking with crop consultant Wes Briggs, he says he’s seen it at low levels in several fields, nothing bad. Here are some photos I took of this disease. Here’s what it looks like under my microscope. 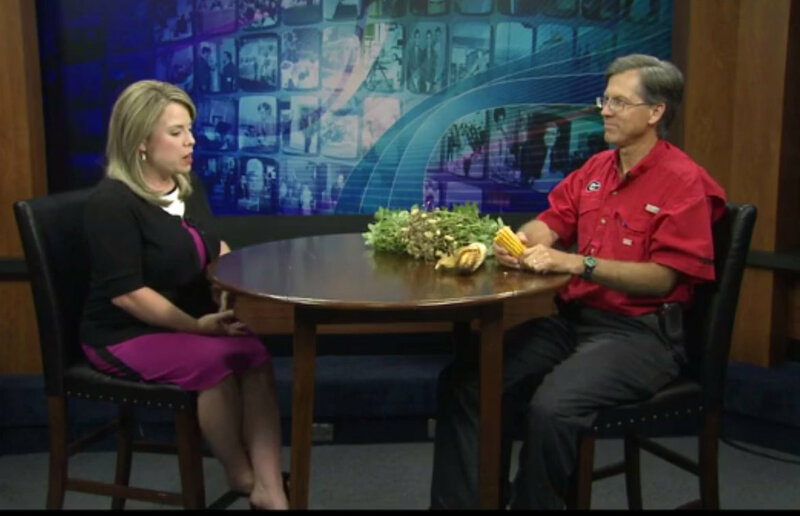 I gave a peanut and cotton crop report recently on WTVY in Dothan Alabama. Discussing black layer formation in corn and the peanut crop progression. Click on this link to go to the video then click on arrow on left side. 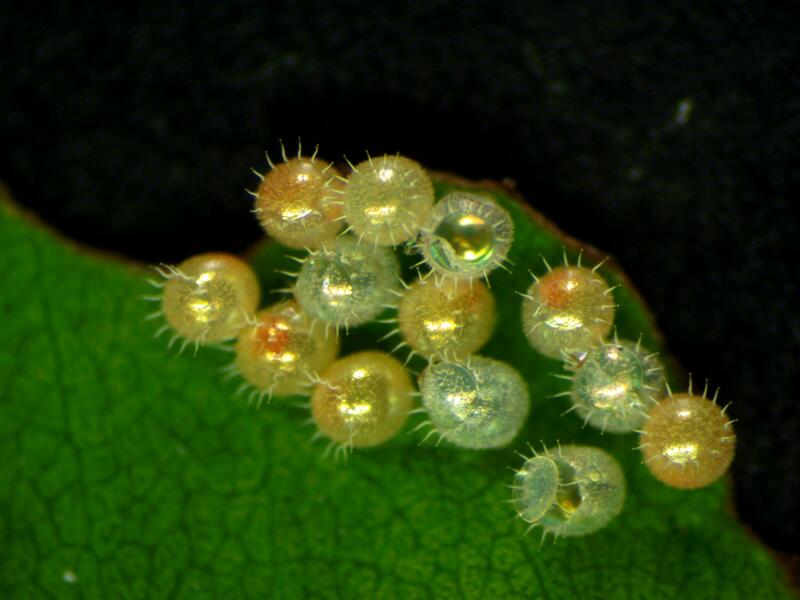 Last week I had a photo taken under magnification of Spined Soldier Bug (beneficial stink bug) eggs. I saw an adult sucking the life out of a caterpillar in the peanut field a few days ago. Here’s the small stink bugs that had just hatched out. The white capsules with the open tops where where they came from. Caterpillars in peanuts have decreased in some fields this week due to this predator and others and due to parasites working on the caterpillars, too. Here’s the same egg mass without magnification, as I found it in the peanut field. This week, another entomology question. 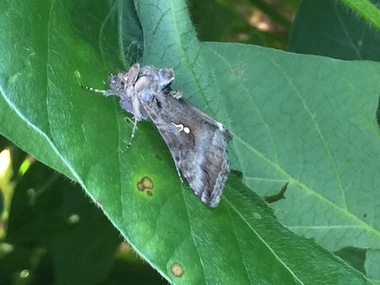 I found this large moth in a soybean field this week. What is it? 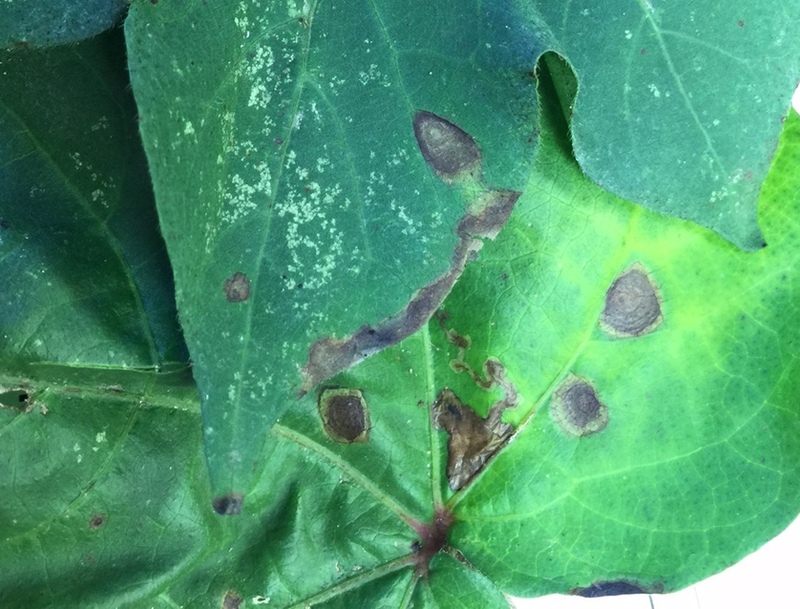 COTTON ANGULAR LEAF SPOT (aka bacterial blight): Angular leaf spot is a bacterial disease caused by the pathogen now known as Xanthomonas axonopodis pv. malvacearum. We have not seen a major outbreak in many years but are seeing it more frequently this year. I have seen it in a couple of fields here in Seminole county, and I’ve had reports of it from consultants in Decatur county. 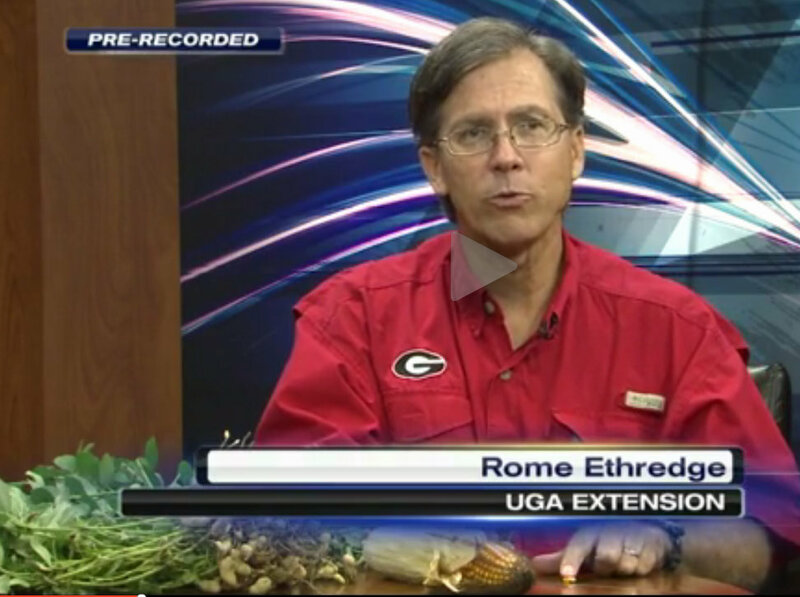 Here’s advice from Dr. Bob Kemerait, UGA Extension Plant Pathology. A. 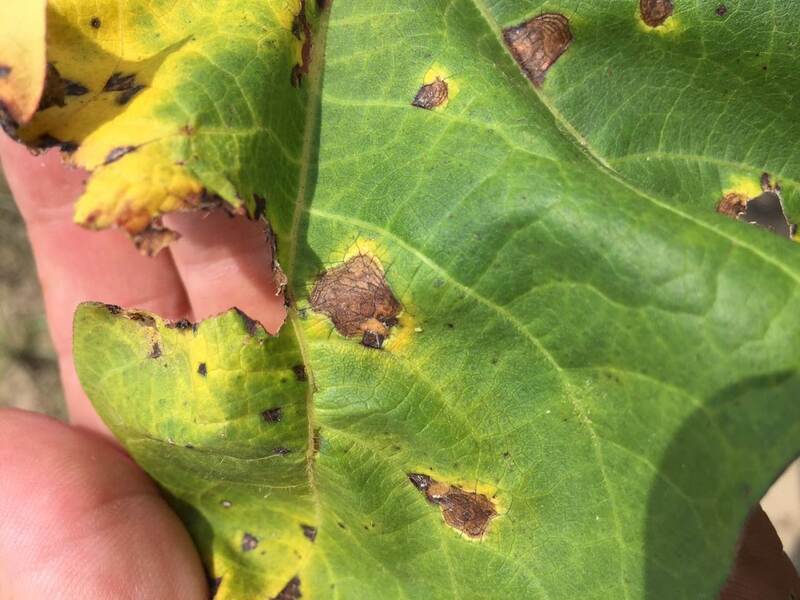 The disease is caused “angular leaf spot” because the water-soaked lesions are typically defined by the veins of the cotton leaf and take on an angular appearance. B. As the lesion develops, it can take on an appearance more like target spot ( like in second photo below) but is typically differentiated from target spot because of a yellow halo around the spot and because the initial water-soaked lesion is still discernable in the larger lesion. 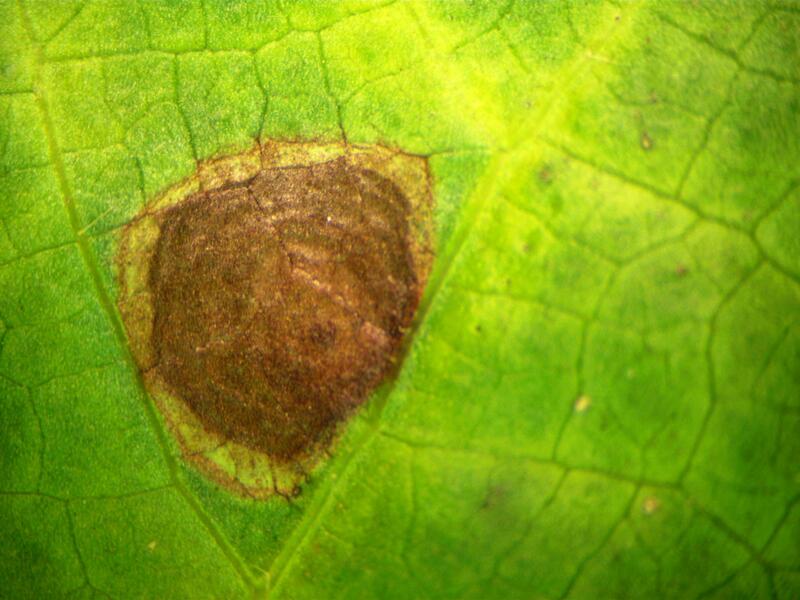 C. Angular leaf spot CAN NOT be managed with a fungicide or anything else applied to the leaf. D. While the bacteria can be spread through moisture and splash from irrigation and rain, reducing irrigation is likely to cause more harm to the crop during hot weather than it will help manage the disease. 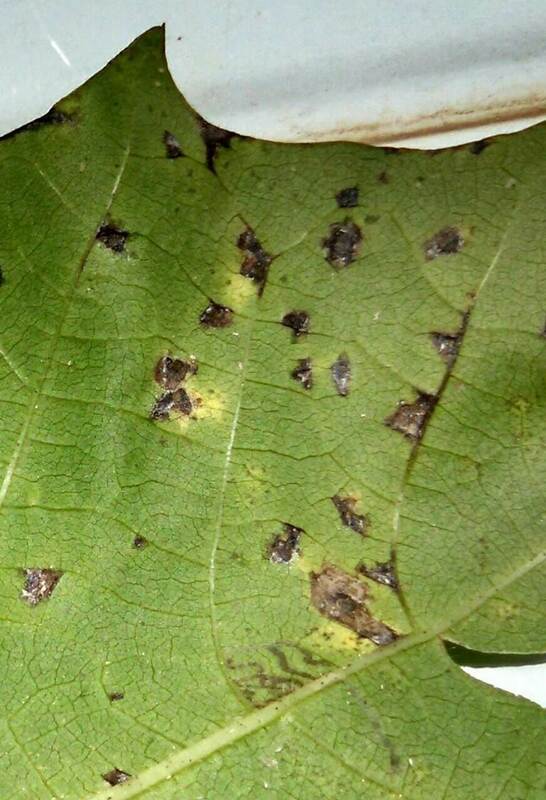 E. Angular leaf spot may produce rapid defoliation of the cotton crop in severe cases. However, yield losses are not reported to be catastrophic and in a worst-case-scenario may approach 10% (note: worst-case-scenario). F. The angular leaf spot found thus far in Georgia has been south of Tift County and west of I-75; it is currently relatively confined. On Monday, July 6, FSA released notice CM-770 providing notification that the policy requiring covered commodities to have similar HIP’s for farms to be combined is now rescinded. HIP stands for Historical Irrigation Percentage and applies to the ARC-CO program in HIP counties where at least 25% of a commodity’s acreage is irrigated and 25% non-irrigated. Commodity groups worked with FSA to take another look at the policy due to concerns that it would effectively eliminate combinations of farms and create problems with crop rotations if producers couldn’t combine farms because of different HIP’s. 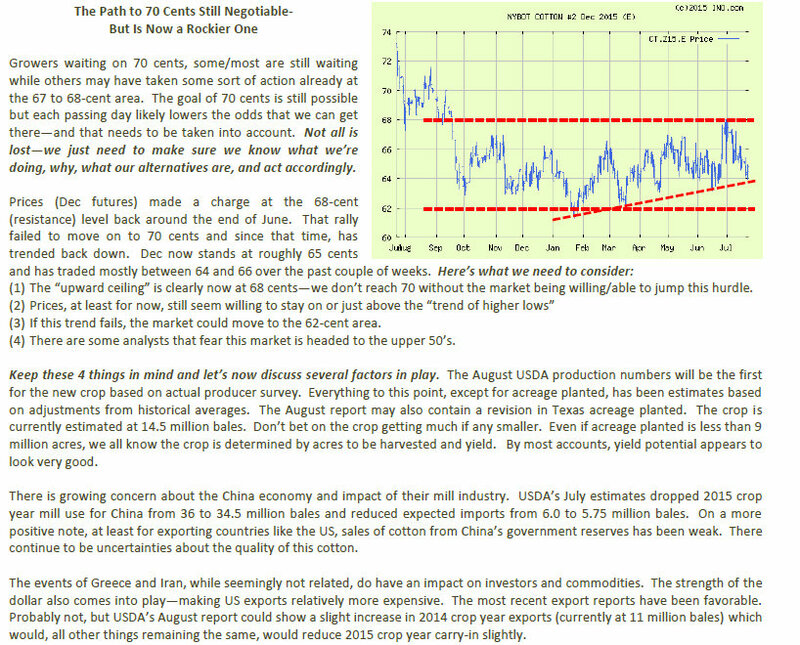 The June 30 Agricultural Prices report showed final 2014 season average price for small grains. The final prices for barley, oats and wheat are above the Reference Price, thus not triggering a PLC payment for the 2014 crop. Peanuts project a payment rate of $95.73 per ton before the 85% payment factor and any sequestration subtracted. 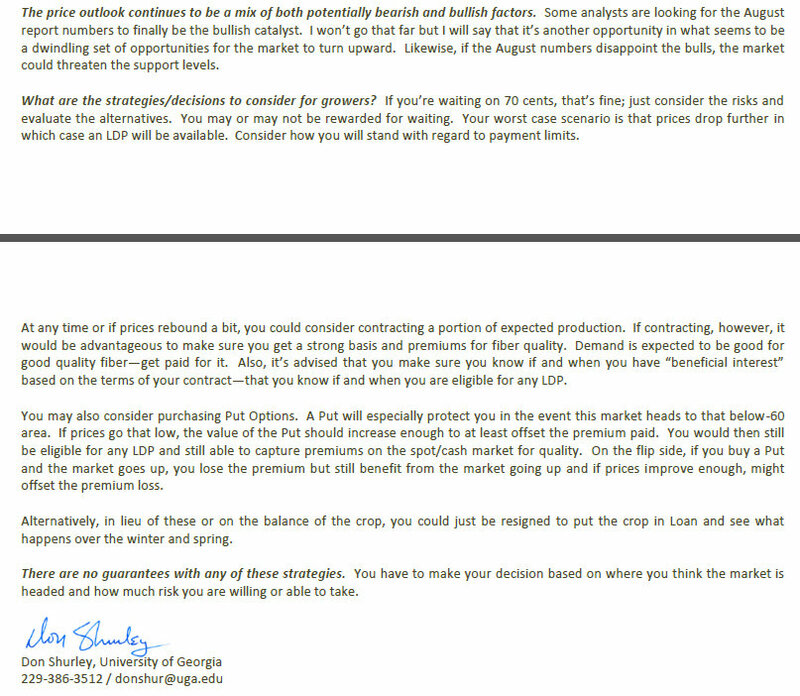 Corn could have a zero or small PLC payment while grain sorghum and soybeans will not trigger a PLC payment for 2014 crop year. However, ARC-CO payments should trigger for most counties based on price. *Peanuts, Corn, Sorghum and Soybeans estimated PLC rate through June 30, 2015. Good News – We are Eating More Peanut Butter! The June 30 Peanut Stocks and Processing Report by NASS USDA indicates that total use of shelled edible kernels is up 4.5% over last year. The increase is being driven by the peanut butter category, up 9% over last year. This is a strong increase and is being credited toward innovative products being introduced in the market. Candy use is down according to the report snack use about the same. In-shell use is down which is not encouraging for the Virginia-type market. Thanks to Nathan Smith , UGA Extension Ag Economist. Sorghum Midge is tough to scout for. They are smaller than house flies, orangish and can be elusive. 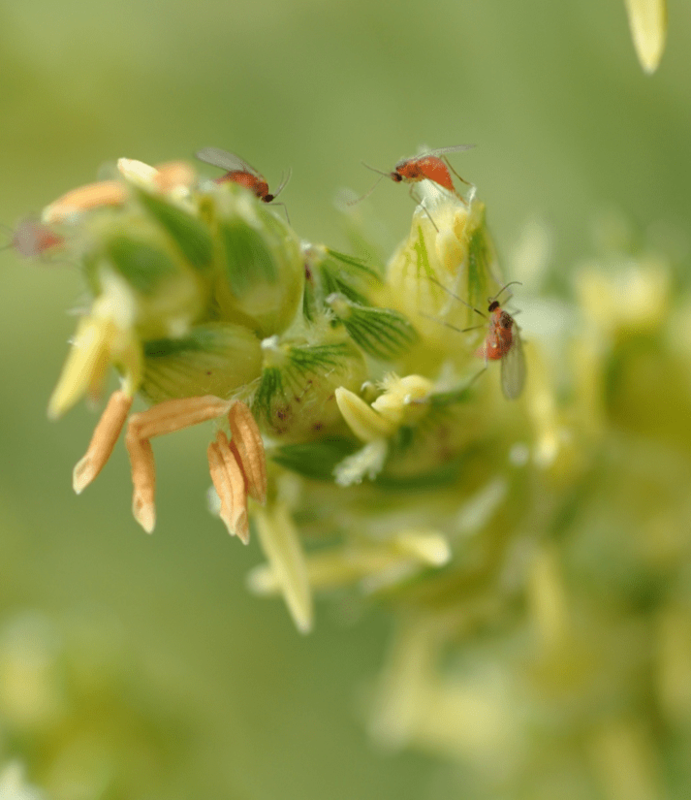 Dr Angus Catchot, entomologist in Mississippi, uses some good concepts in this blog post, Scouting for Sorghum Midge with Confidence, to check for midge in grain sorghum which can really hurt yields. Soon after head comes out is the critical time and he has a method of putting a gallon ziplock bag over the grain head and thumping it and the midges will fly up to the top of the bag, you don’t even have to close the bag. Dr. David Buntin, UGA Entomologist, says we need to scout and not do automatic sprays due to possibility of flaring white sugarcane aphids. 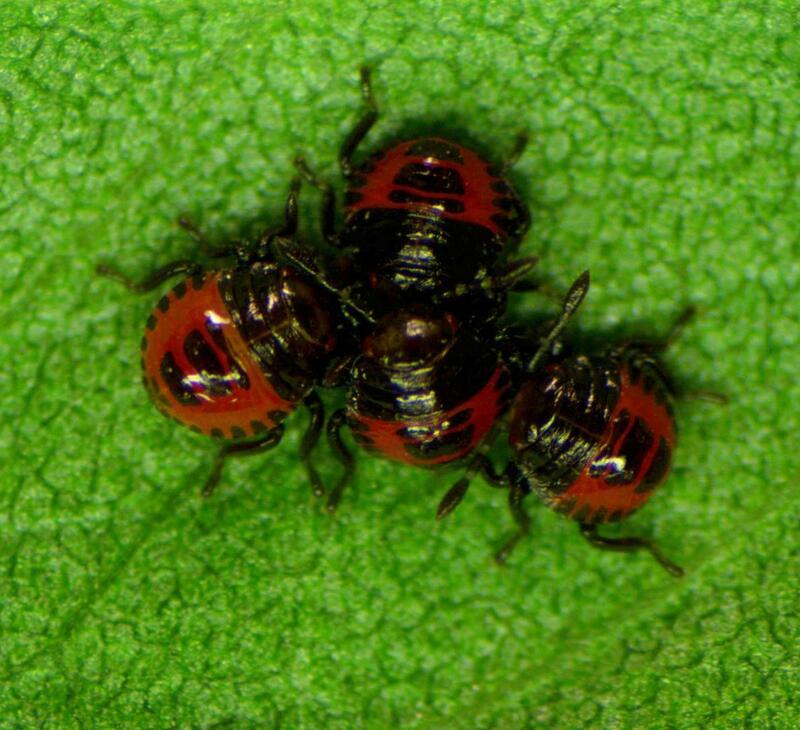 Also use chemistry that doesnt kill beneficials if possible. Here’s one of the site’s photos. Go to Dr. Catchot’s blog post for lots of information and more photos.